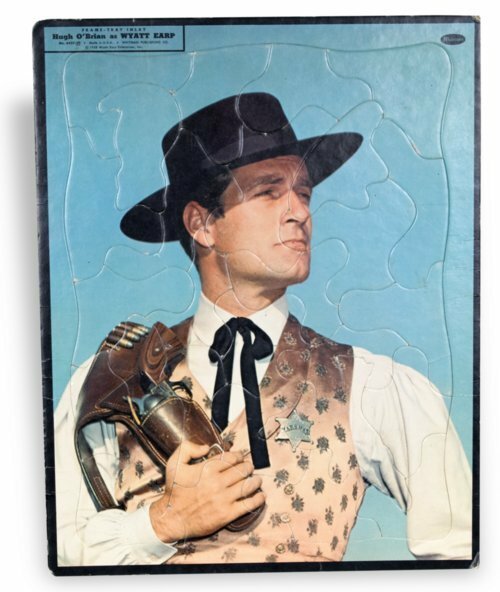 This cardboard puzzle depicts actor Hugh O'Brian as his character Wyatt Earp in the television series "The Life and Legend of Wyatt Earp." The show ran from 1955 to 1961. Creator: Wyatt Earp Enterprises, Inc.